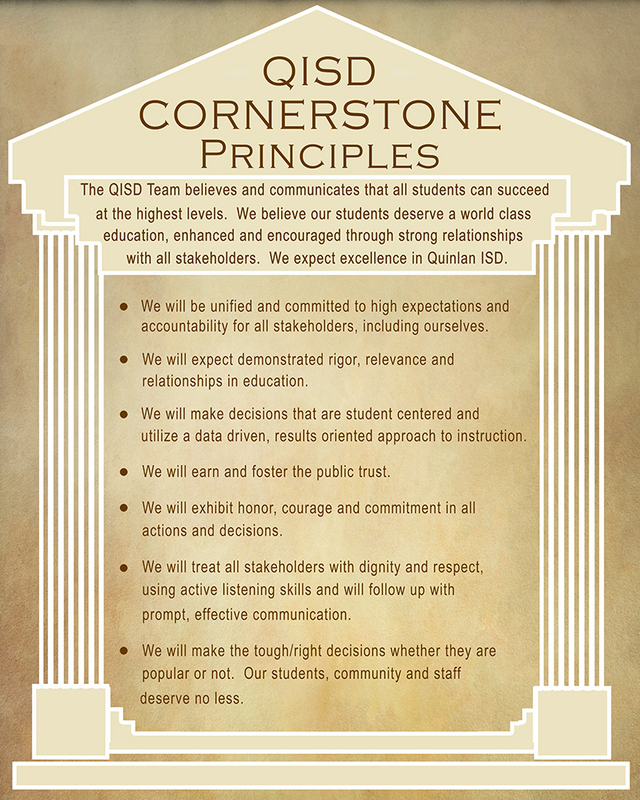 Quinlan Independent School District takes great pride in providing outstanding education in the performing and visual arts. Education and engagement in the fine arts are an essential part of the school curriculum and an important component in the educational program of every student in Quinlan ISD. Our staff helps QISD students develop into whole-minded citizens through successful experiences in music, art, theatre, and dance. Each year, our performing groups and students in fine arts are recognized for outstanding achievement through selection to regional and state organizations. We encourage everyone to become more familiar with our different fine arts programs, meet the staff, and gain a better understanding of the fine arts curriculum. Fine Arts at Quinlan ISD consists of music and visual arts at the elementary levels, and at both secondary campuses, students may choose courses in band, choir, visual arts and theatre. Each course is taught by a certified specialist in the appropriate area of study. Quinlan ISD is proud of the students currently enrolled in Fine Arts. Students excel in their craft throughout the year. Region, Area and State qualifications and participation by our students has become more common. Additionally, the Choir and Band are UIL Sweepstakes participants and the Panther Marching Band has advanced to finals many times throughout marching contests. The Panther Theatre department has also advanced to the area level in the UIL One Act Play competition. The Quinlan and surrounding communities are invited to attend any Fine Arts events that are held throughout the school district or region. 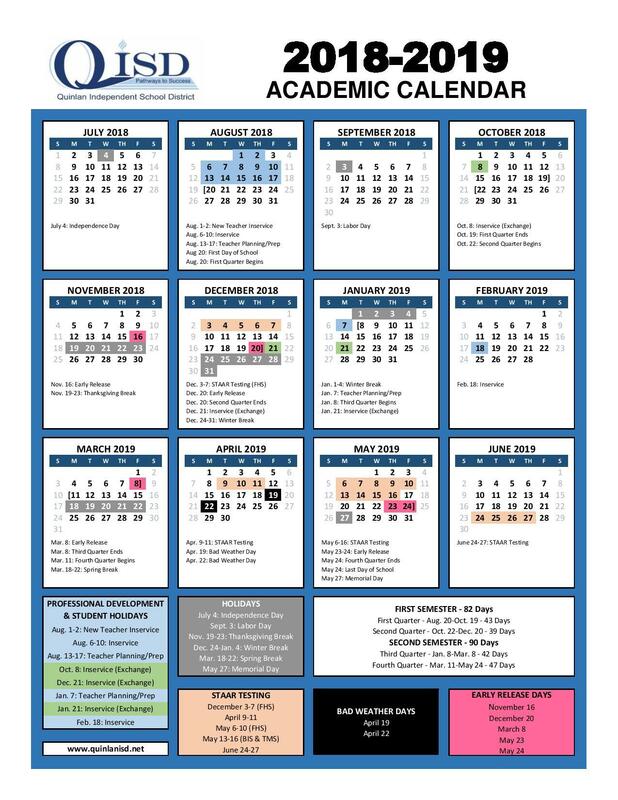 More information on QISD Fine Arts Functions can be found on the QISD Fine Arts Calendar. Click the event to find out more details on the event.